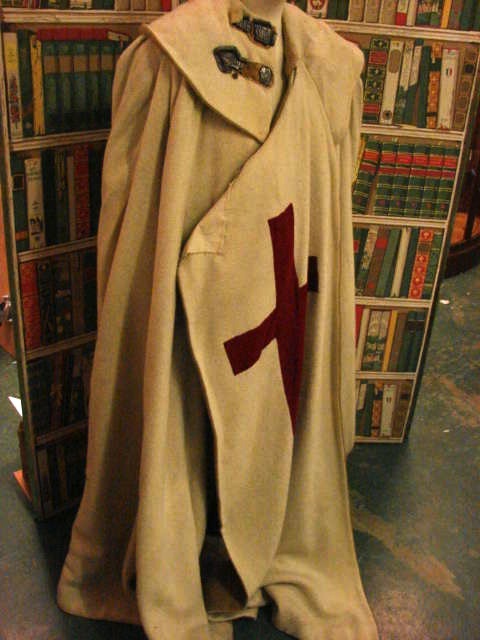 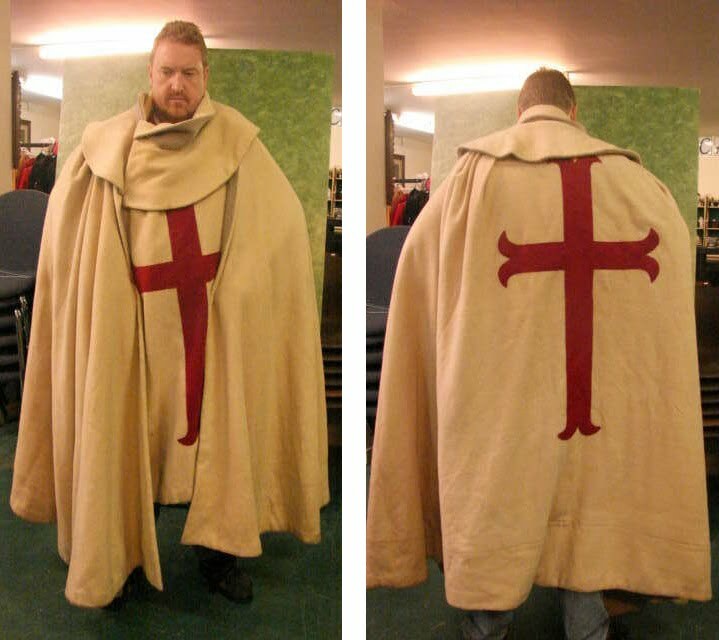 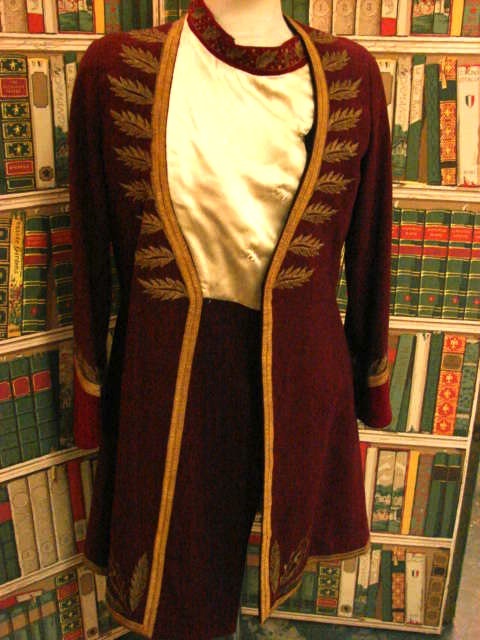 We seem to have had a number of sales of costumes form the Angels Costumier vaults, and yet another is planned for Sunday 23rd May 2010 at Cameo Fine Art Auctioneers in Midgham, Berkshire. 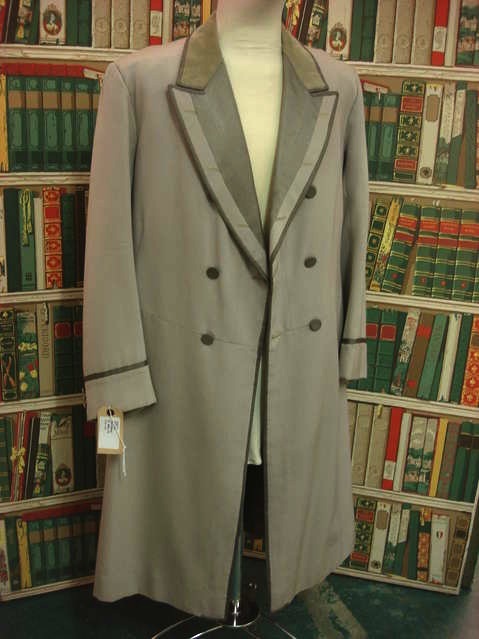 There are a good 230 plus items on offer, from a wide variety of productions such as Raiders Of The Lost Ark, The Fifth Element, the Star Wars prequels and number of the Bond films. 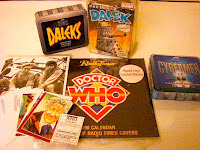 Hidden in there are half a dozen lots from Doctor Who dating back as far as 1964. A Blue shimmering full length dress worn by Jean Marsh as Morgaine. Delta and the Bannermen, 1987. 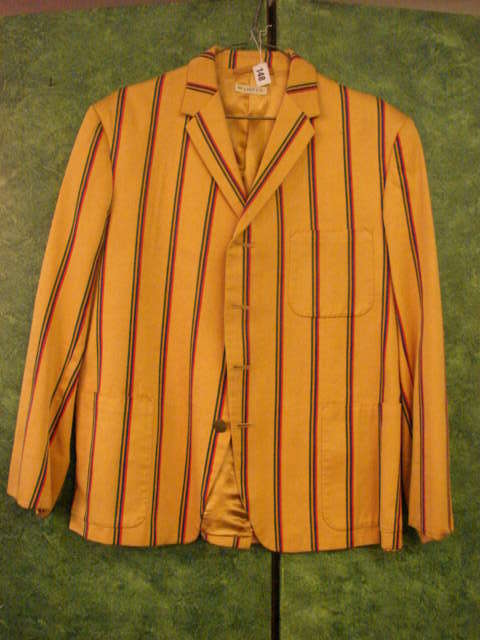 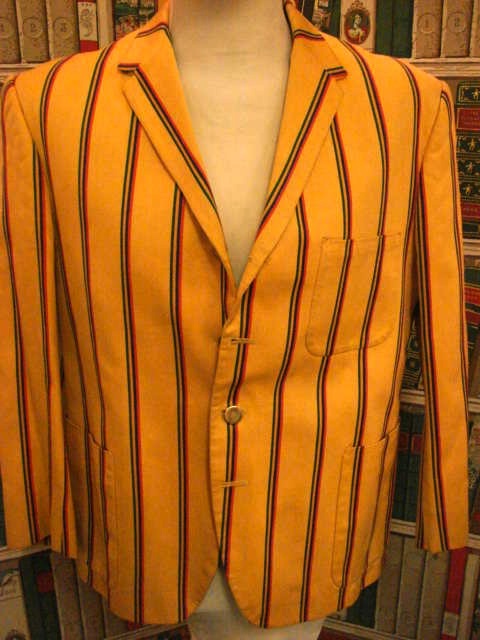 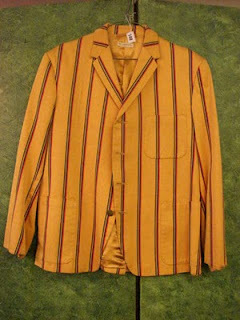 A yellow striped holiday camp style jacket unnamed. 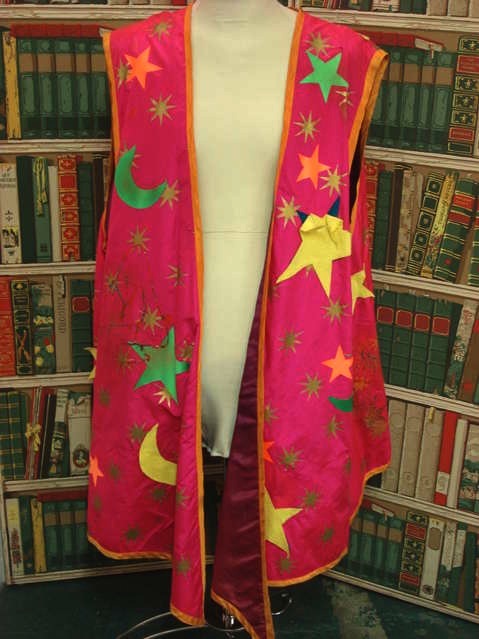 A Colourful Waistcoat worn by Peter Davison as The Doctor in the 21st Season story Planet of Fire. This last item is obviously the star of the Doctor Who stuff on offer. I wonder how much it will go for in the end? 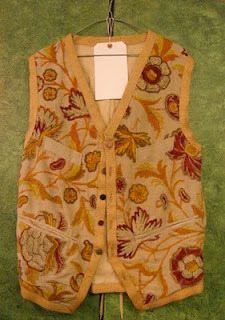 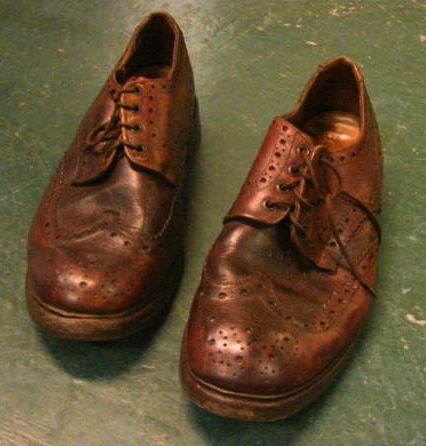 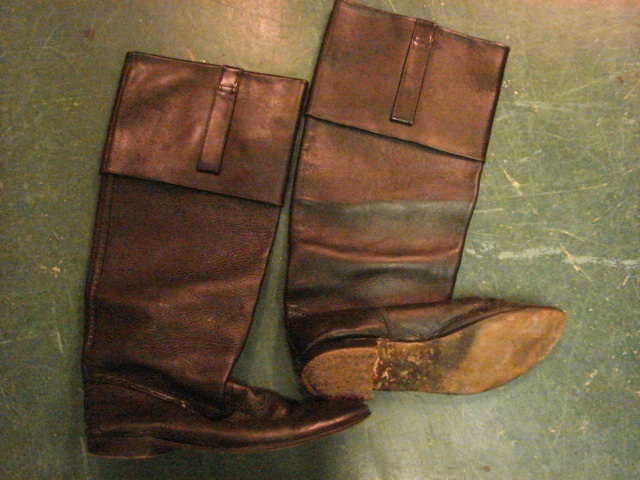 Check back after the auction, and I will update the entry with the sale prices. 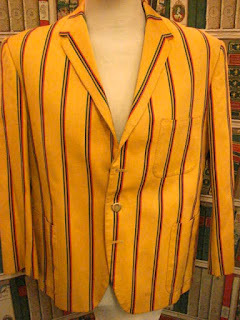 If you want to go to the viewing, it is between 10am to 4pm on Thursday 20th, Friday 21st and 10am to 2pm on Saturday 22nd of May, and from 8.30am before the sale on the Sunday 23rd May – sale starting at 11am. 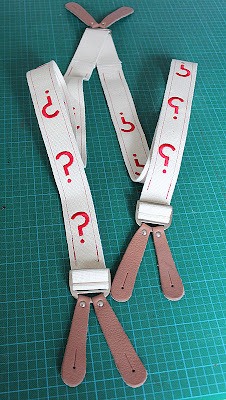 While search back though some old autions of the Cameo website, I came across a sale in March 2010 which I didn’t know about! 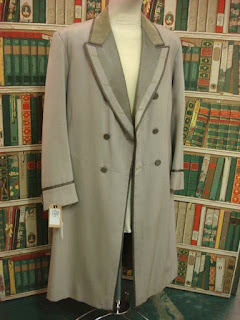 It has over a dozen items, again ranging right back to William Hartnell’s earliest seasons. 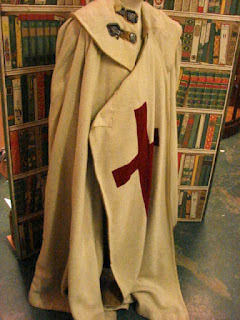 A couple of the items look familiar, so I guess they went unsold that time around. A Quantity of Dr. Who memorabilia including shooting scripts for Doctor Who Episode 5 Parallel World Part 1 and 2 by Tom MacRae. 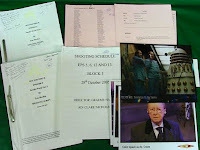 Both Scripts were for Colin Spaull who played Mr. Crane and both scripts have been inscribed and signed by the director Graeme Harper. 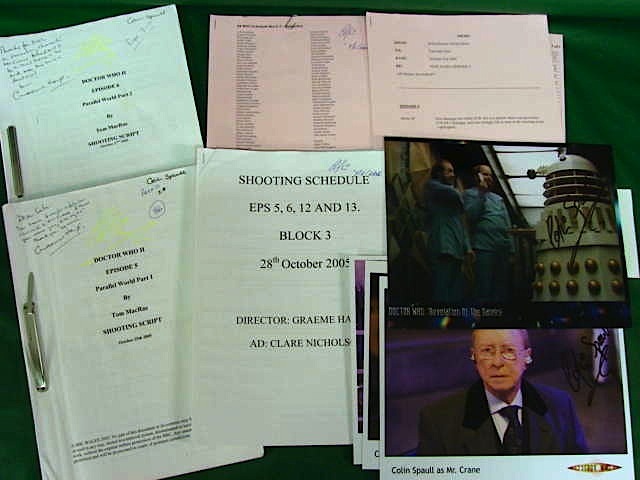 Also included are the shooting schedule's and call sheets for Colin Spaull, three signed photographs of Colin Spaull, a Doctor Who compliments slip and a letter to Colin Spaull from Russell T Davies and signed. 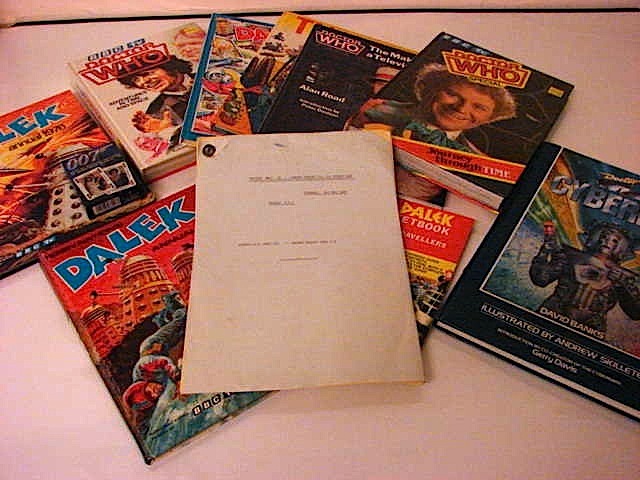 A Camera script for specific shots in the episode and seven Doctor Who annuals and The Dalek Pocket Book. 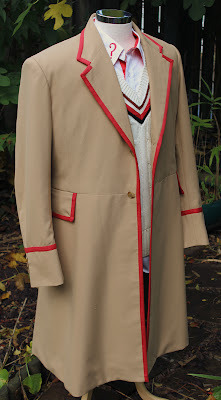 Jon Pertwee The Second Doctor. 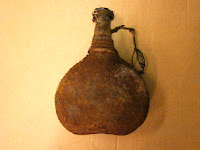 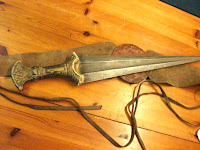 Solonian Rebel Helmet. An entertaining space costume worn by Sylvester McCoy as The Doctor. 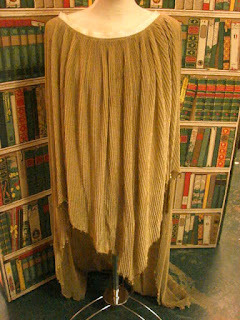 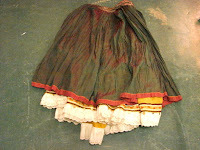 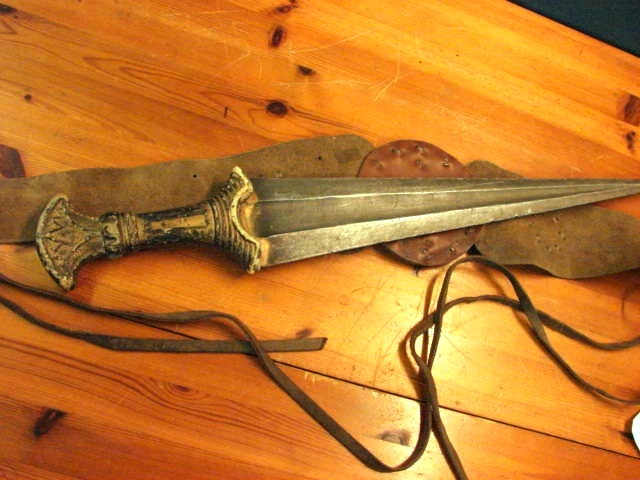 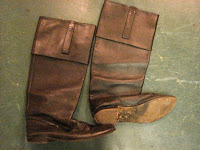 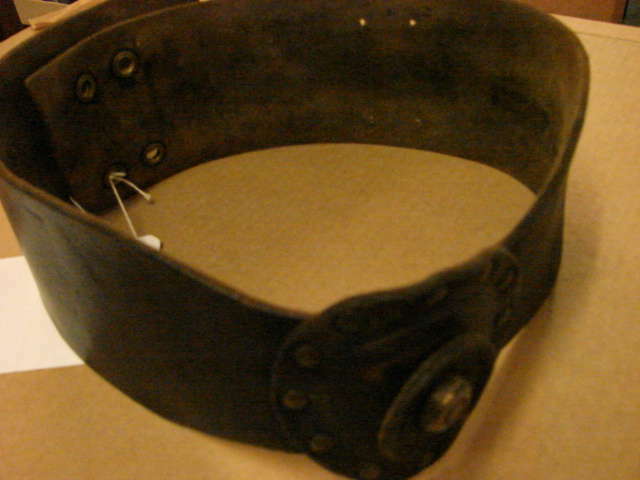 A Gypsy style skirt used in the episode. 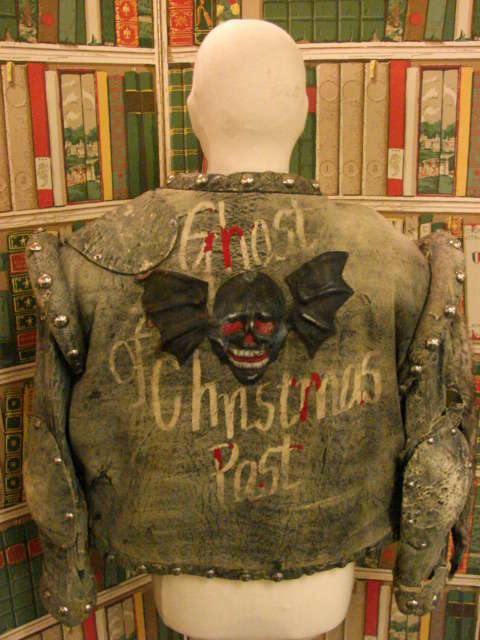 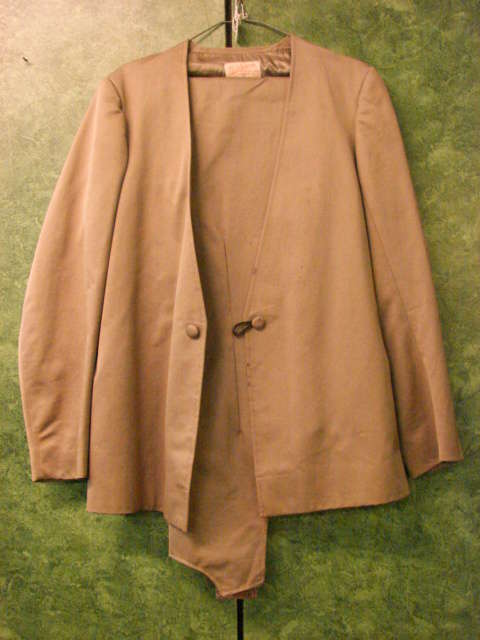 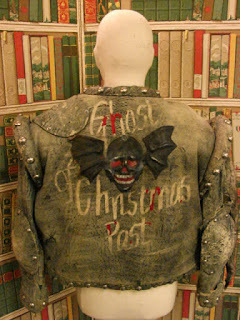 A Distressed Faux Leather Jacket detailed used in the episode. When is a Five Coat not a Five Coat?